"Blasphemy!" It's finally, finally, finally, finally here!! Can you believe it?! The very first international trailer for Terry Gilliam's The Man Who Killed Don Quixote has arrived out of nowhere, just a week before the Cannes Film Festival line-up announcement. Word is the film will play the festival, but until it's official, this is our first look. Terry Gilliam has been trying to make The Man Who Killed Don Quixote for decades, (in)famously starting production and then shutting down once before in 2000 with Johnny Depp. Now he's finally finished it and it's ready for release this year. Rejoice! The film is about an advertising executive who jumps back & forth in time between 21st century London and 17th century La Mancha, where Don Quixote mistakes him for Sancho Panza. 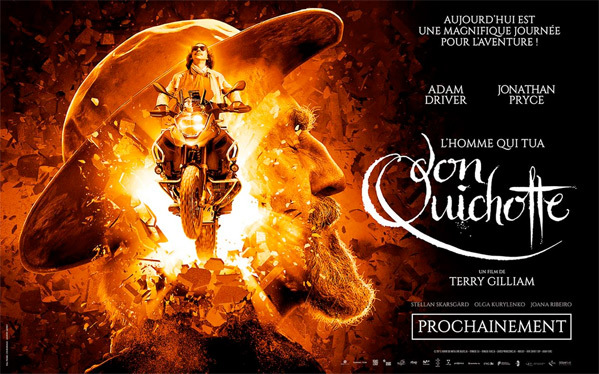 Starring Jonathan Pryce as Don Quixote, and Adam Driver as Toby, with a cast including Olga Kurylenko, Stellan Skarsgård, Rossy de Palma, Óscar Jaenada, Jordi Mollà, Jason Watkins, and Sergi López. This looks totally wild and crazy and fun, I'm so down for this. The Man Who Killed Don Quixote tells the story of a deluded old man who is convinced he is Don Quixote, and who mistakes Toby, an advertising executive, for his trusty squire, Sancho Panza. The pair embark on a bizarre journey, jumping back and forth in time between the 21st and magical 17th century. The Man Who Killed Don Quixote is directed by veteran American-born British filmmaker Terry Gilliam, director of the films Monty Python and the Holy Grail, Jabberwocky, Time Bandits, The Meaning of Life, Brazil, The Adventures of Baron Munchausen, The Fisher King, 12 Monkeys, Fear and Loathing in Las Vegas, Brothers Grimm, The Imaginarium of Doctor Parnassus, and The Zero Theorem. 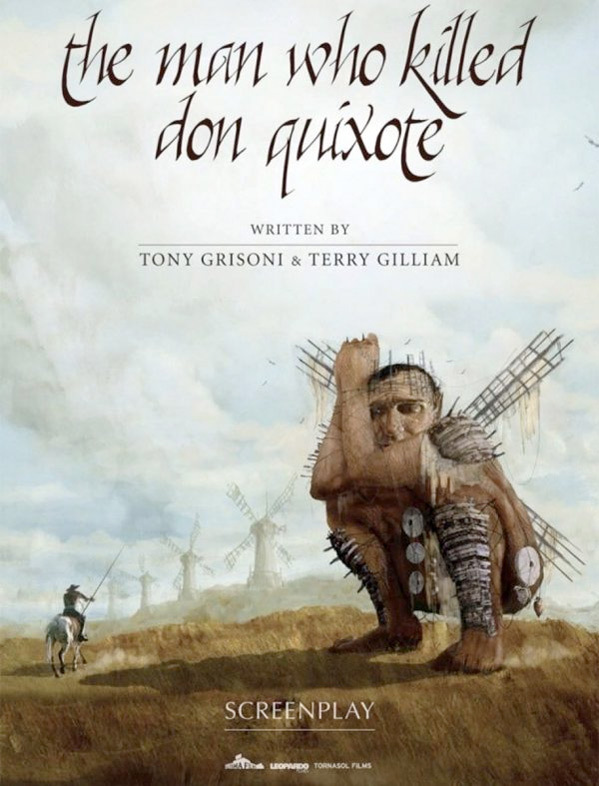 The screenplay is written by Terry Gilliam and Tony Grisoni, based on the original novel by Miguel de Cervantes y Saavedra. This is expected to premiere at the Cannes Film Festival this summer. The film doesn't have any official US release date set yet. Stay tuned for more updates - visit the official website. First impression? Who's ready for this?